The new season is nearly upon us and I for one am eagerly awaiting how the teams stack up going into Australia in 4 weeks time. A new halo device being used to protect the drivers head. Despite the backlash against the ugly nature of the halo it is here to stay and the designers will need to work out the effects on the aerodynamics and downforce from the new element of the car. Teams will also have less engine parts to play with. There were over 700 grid penalties last year and engine manufacturers will be focussing on reliability to ensure this number doesn’t rise this year. Despite the lack of regulation changes there are a lot of new partnerships, driver line ups and car manufacturers in the sport. A brief summary for each team is below, as a reminder of last season I will go through them in the order of the 2017 constructor championship. Mercedes are sure to be the ones to catch once again. The silver arrows have looked formidable in testing the last couple of years, putting in endless laps and showing freakish speed when they decide to turn the engine up. Lewis Hamilton was outstanding from start to finish last season in what could have been his most impressive championship win. Valteri Bottas is struggling to get out of Hamilton’s shadow but still managed a few race wins last year. He will be hoping for more consistency this season. After taking it too Mercedes for the majority of last season and outperforming them at times, Ferrari will be looking to iron out the reliability issues that hampered the end of their season. If Sebastian Vettel can learn to keep his head there could be a re run of the Hamilton v Vettel battle for the championship. Kimi Raikkonen has world championship pedigree but has failed to challenge Vettel since he joined the team. Given a front running car both of these drivers have the potential to win a championship. Unfortunately, Ferrari tend to employ a 1st and 2nd driver with Raikkonen likely to play second fiddle. The first of the big teams to launch their car and Red Bull seem eager to show they a ready to get going. They played catch up for the first half of last season but showed promising signs in the second half when the tracks permitted. The lack of power is obvious when compared to Mercedes and Ferrari but the gap could be reduced this year and with the best aerodynamics package on the grid they will be hoping to challenge from the start. In my opinion Red Bull have the best driver pairing on the grid with Max Verstappen and Daniel Ricciardo who are both destined to be world champions. The surprise package of last year, Force India will be looking to maintain 4th place in the constructors championship amid likely pressure from Williams, Renault and McLaren. 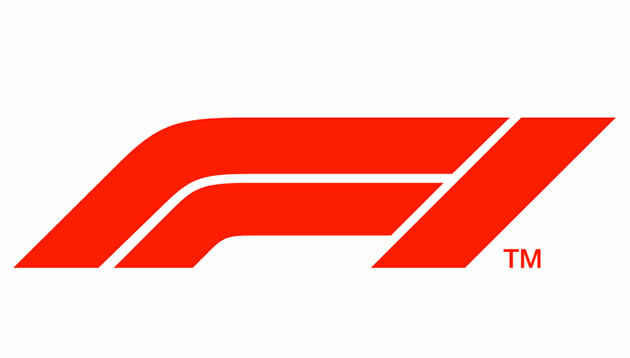 With owner Vijay Mallya facing extradition to India, a likely change of team name on the horizon and talk of a takeover being thrown around the rumour mill the future seems uncertain. One thing is for sure, Sergio Perez and Esteban Ocon will continue their rivalry in Australia. If they manage to stay out of each others way they are actually two very talented drivers. There could be a lot of change in a short space of time so watch this space. Williams will be hoping to recover from a disappointing 2017 which saw Force India overtake to become the champions of the midfield. They have made some new appointments behind the scenes and with Massa retiring for the 2nd time, Sergey Sirotkin will replace him behind the wheel. With rumours Sirotkin is joined by a $15 million sponsorship package he will need to impress on the track to prove his worth. 19 year old Lance Stroll will be on the opposite side of the garage meaning Williams will boast the youngest driver line up on the grid. Stroll didn’t set the world alight in his first season but a podium in Baku should give him confidence going into his second year. With improvements expected in Renault and McLaren this could be a tough season for Williams. Renault will be hoping to keep moving forward after showing continual progression since coming back into the sport with a works team. The team boast a very respectable driver line up of Nico Hulkenberg and Carlos Sainz. Hulkenberg scored 43 of Renault’s 57 points last season whilst battling the engine reliability issues. Sainz only joined the Renaut outfit towards the end of last season so will be looking to push on and impress his parent team (Red Bull) incase Ricciardo decides to leave at the end of the season. All eyes will be on the Renaut teams at testing to see how well the new engine measures up to Mercedes and Ferrari. There’s not much you can say about Toro Rosso as it all depends on the new Honda Engine. After three dismall seasons with McLaren, Honda will now try to improve under slightly less pressure further down the grid. If big improvements can be made Red Bull might look at the Honda engine from 2019. Brendon Hartley and Pierre Gasly continue in the race seats for 2018 and they wil be hoping to beat the 29 laps completed on the first day of testing by McLaren last year. Haas were the first team to reveal their 2018 car and there have been positive mutterings coming from the team. The 2017 car was very unstable and performance varied greatly from track to track. This year a lot of focus has been on aerodynamics and they have reduced the weight of the car to allow more ballast to be used on set ups. Romain Grosjean has been with team since their introduction in 2016 and Kevin Magnussen is started his 2nd full season with the team. Haas have good, experienced drivers but only time will tell if the limited improvements made to the car will achieve the big gains required. I think everyone is hoping McLaren will be back racing for podiums and maybe even race wins. The switch to Renault engines should bring greater power and reliability than the 2017 Honda engine but will Renault produce something that can challenge Mercedes and Ferrari. In Fernando Alonso they have a world class driver who in my opinion is as good as Lewis Hamilton. It would be great for the sport to see those two going head to head on a regular basis. Stoffel Vandoorne completes McLarens line up and will be looking to show what he can do with a more competitive engine. Sauber will be hoping for some big improvements this year, they spent last season battling between themsleves. Wehrlein scored all of Sauber’s points last year but he has been replaced by young up an coming Ferrari driver Charles Leclerc. The improved partnership with Ferrari also means Sauber will run 2018 engines this season instead of the year old engines they ran last season. Marcus Ericsson continues in the other seat and will be under pressure to perform following a disappointing 2017. Finally Sauber will be leaving behind the blue livery and are donning the red and white of Alpha Romeo with whom they have struck a technical partnership. All in all promising signs for Sauber who might just be joining in the racing with everyone else this year.